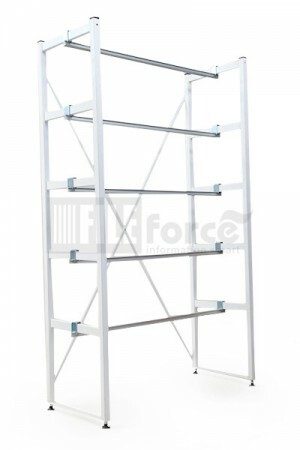 Back-to-Back T-Glide® Starter Ladder Rack, Starter Rack is 1-metre wide. 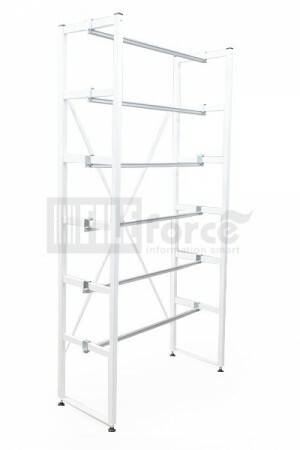 Length : 1 metre wide (starter rack), or additional 1 metre extension, or as per requirements. 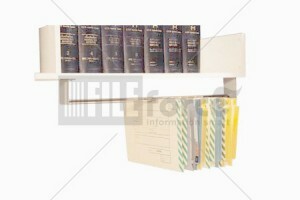 Hand Driven Mobile Compactus, ideal for higher density and lockable storage of files. 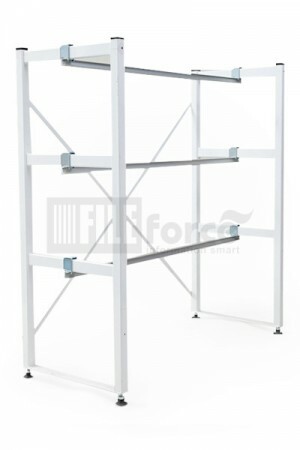 Comes with Standard 7 feet (2120mm H) bay and can be fitted with 6 tiers of rails for T-Glide® Filing. 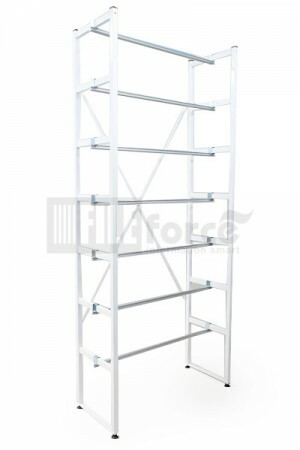 T-Glide® Ladder Rack with 6-tier of rails can be configured to Side-to-Side system on tracks, ideal for long and narrow limited storage space. 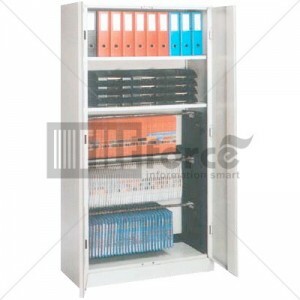 For lockable storage of files. 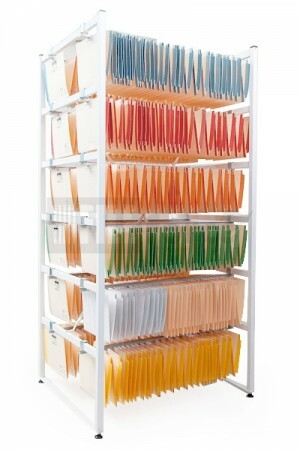 Options available to install T-Glide Rails in the cabinet. 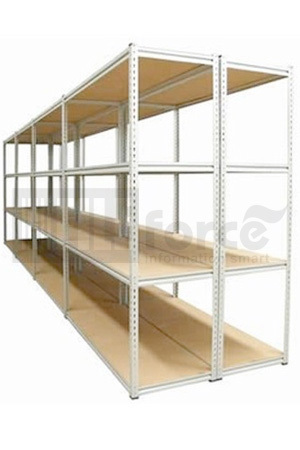 Standard 6 feet cupboard can be fitted with 3 shelves, or 5 Rails, or as per requirement. 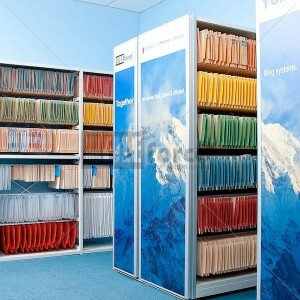 Note: For Housing & Shelving, please contact us for professional consultation to provide a total solution that meet your requirements. 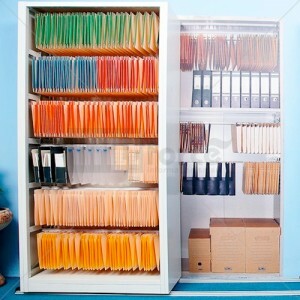 Ideal for keeping active files close to work areas. Not recommended for partition walls. 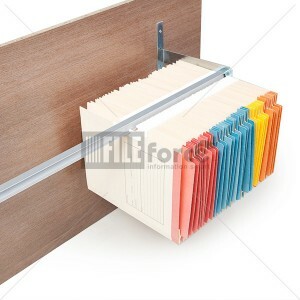 Additional storage for active files close to work areas and prevents clutter on the table. Maximum length of the rail is 500mm. 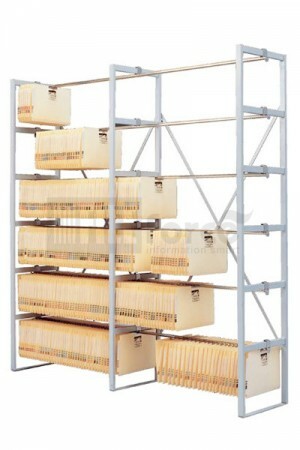 Boltless Racks are customizable to fit your storage space.